BANGKOK, Feb. 11, 2019 /PRNewswire/ -- Thailand is making a remarkable move to stimulate big investments in technology-advanced targeted industries that will drive economic transformation and support investors' success. "Thailand Investment Year" incentive package by Thailand Board of Investment (BOI) has been initiated as a strategic tool to support such move. At the same time, new investment promotion measures were also introduced to attract more investment in targeted activities like rail system and digital economy development. 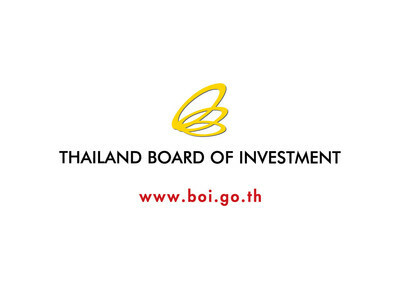 To promote the new package and share with investors Thailand's updated investment policy and incentives, BOI sets "Thailand Investment Year - What's New?" as the theme of its annual seminar scheduled for 4 March 2019. Main discussions and content will be centered around new investment measures that will be in focus this year, as well as the investment support from the government. The investment package will keep the country's high investment momentum going following the remarkable 25% increase in investment applications received by BOI against the 2018 target. The country earlier set a goal to attract 720,000 million baht investment application but ended up seeing over 900,000 million baht investment application value. This is credited mainly to the country's comprehensive ecosystem for investment, ranging from concrete progress of infrastructure development, to clear national direction and continuous government support. For 2019, BOI has set investment application target at 750,000 million baht. It is hoped that the Thailand Investment Year package and latest announced investment measures will boost investment value and enable the government to achieve its target. Realising that large investment projects which adopt advanced technology or are in knowledge-based industries are crucial to boost economic growth and transformation, BOI has initiated this Thailand Investment Year Package to attract projects with minimum investment value of 1,000 million baht in targeted activities that are entitled to 5-8 years of tax holiday and do not extend project implementation deadline. Applications will be opened until 30 December 2019 and the approved projects will receive 50% reduction of corporate income tax for three years on top of the basic package. Targeted activities are, for example, manufacture of aircraft or aircraft parts, R&D, biotechnology, manufacture of advanced technology electrical products, manufacture of high-technology medical devices, digital services, etc. Considering rail as a strategic logistics system that plays an important part in investment ecosystem, BOI recently introduced new measure to attract investment in rail system development. The new measure focuses more on engineering activities and a comprehensive range of investments related to rail systems such as train structures, passenger cabins, system control units, bogies, braking systems, electrification systems, and signaling systems as well as rails. Rail system development related projects that apply for BOI promotion by 30 December 2021 will be eligible for 50% corporate income tax reduction for another 3-5 years, depending on designated locations, after the expiry of 100% exemption privilege for 5-8 years. This special package is also expected to help kick-start the establishment of a rail production hub in the northeastern region where there are several supporting factors such as existing automotive part and assembly industries, universities, and upcoming development of rail networks. With the aim of attracting foreign and domestic investments in Thailand's digital industry, BOI has recently approved investment measure to support innovation and digital ecosystem, such as innovation incubation center. The requirement of which is adjusted to increase minimum facility area to 1,000 square metres and to include innovation incubation plan approved by BOI to ensure concrete development and incubation for entrepreneurs. A new investment promotion category, Maker Space or Fabrication Laboratory providing machinery and tools used for making prototype products, has been added with five years of tax holiday and import duty exemption on machinery. In addition, a new category for Co-working Space has been included to connect local developers with the global community and encourage startups and venture capitals from all over the world to invest in Thailand. Promoted projects will receive duty exemption on import machinery. BOI has also launched an investment incentive scheme for the Smart City initiative, which is designed to upgrade people's quality of life with seven intelligent platforms; namely, Smart Environment, Smart Mobility, Smart People, Smart Living, Smart Economy, Smart Governance and Smart Energy. Thailand Investment Year - What's New? To kick off the Thailand Investment Year 2019, BOI will share its perspective, new measures and key policy at its annual seminar. Themed "Thailand Investment Year - What's New?" the seminar, to be held on 4 March 2019 at Royal Jubilee Hall, Impact Muang Thong Thani. In addition to the discussions and presentations on BOI's comprehensive support measures and investment support from various government agencies, the afternoon session will be an investment clinic, where businesses will have the opportunity to discuss with BOI and related government agencies, including National Innovation Agency (NIA), Digital Economy Promotion Agency (DEPA), Export-Import Bank of Thailand (EXIM) and Ministry of Industry (MOI).